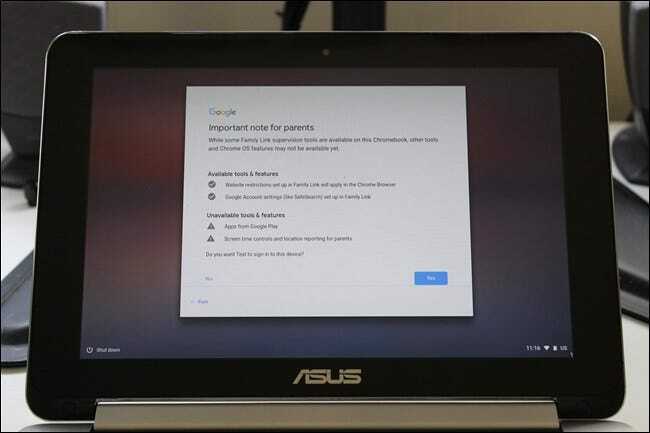 Once upon a time, Chromebooks had built-in parental controls. Google removed them but added support for Family Link—its parental control software for Android phones and tablets. 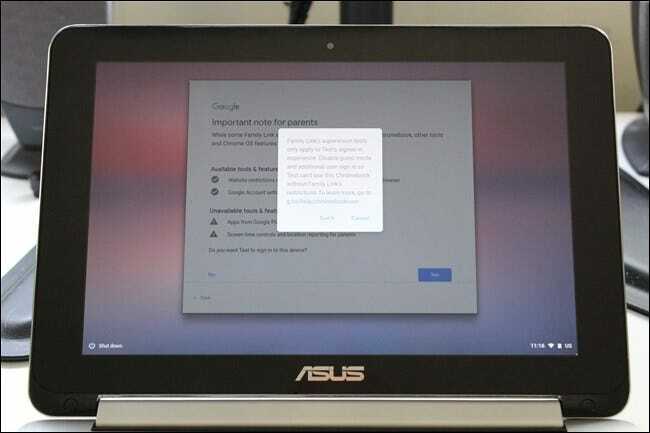 Here’s how it works on Chromebooks. There is no access to the Google Play Store on Family Link accounts. YouTube is blocked by default with no way of unblocking it. 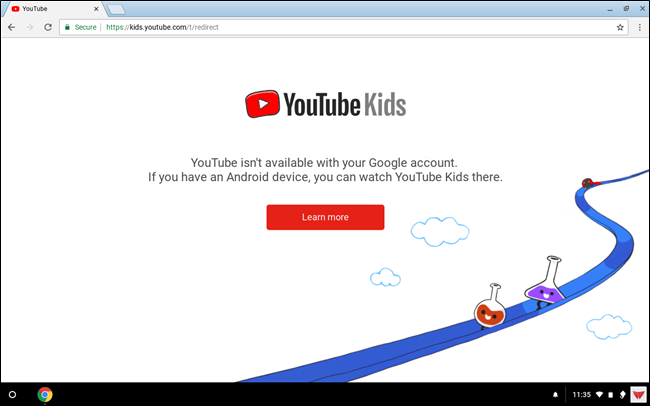 Blocking YouTube is doubly stupid because it instead tries to redirect to YouTube Kids, which only exists in app form and isn’t available on a Family Link account because there is no Google Play Store. It’s kind of a mess, and we honestly wouldn’t blame if you didn’t want to bother with it at this point. The odds are your kids want to watch YouTube and play Minecraft all day, and they can do neither of those things with a Family Link account. If you’re still interested in setting Family LInk up, though, read on. 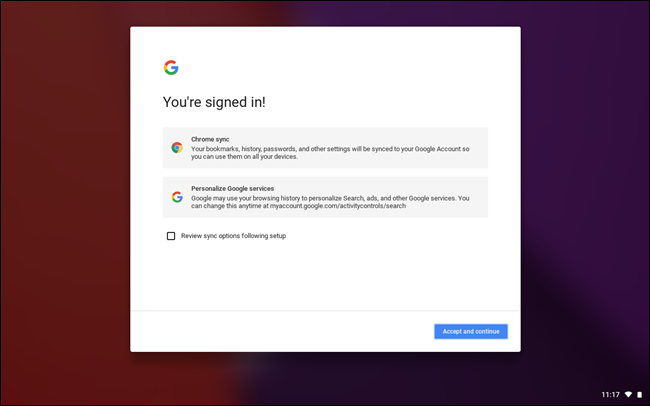 Before you get started on the Chromebook side, you’ll need to set up your Family Link account and create a Google account for your child. Regular Google accounts won’t work—you can’t convert those into Family Link accounts. We have a full guide on creating a Family Link account, so check that out first. Once you have your child’s account all set up, it’s time to get them logged into the Chromebook. Start by signing in with the username and password for the account you just created on your phone. 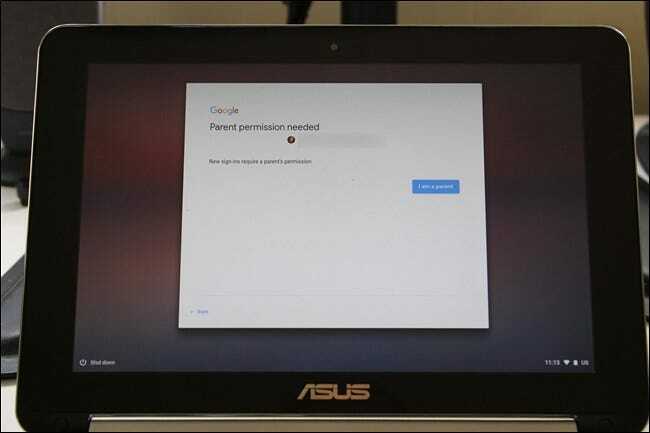 As soon as you input the credentials, Chrome OS will flag the account as a child account on Family Link and ask for a parent to grant permission by signing in. Type in your credentials to verify that you’re a parent (along with a two-factor authentication code if you have that set up). Once you’ve signed it, Google lets you know what’s available and what’s not—the biggest of which is the Google Play Store. If you’re okay with that, click the “Yes” button. The Chromebook will take a few seconds to get everything ready (and may show a warning if you have Guest Mode enabled), but after that, you’re good to go. Click the “Accept and Continue” button to move forward. The new account is automatically signed in and ready to roll. From this point forward, you’re done with the Chromebook and can handle everything in the Family Link app on your phone. But first, let’s take a look at what you can’t do with Family Link. For starters, Chrome OS as a whole is untouched by Family Link—it doesn’t modify the system itself, but rather web content. That means all system settings, Chrome flags, and the like are still available to people signed in with a Family Link account. While you don’t have to worry about your child accidentally stumbling into the Flags menu, system settings being left wide open could potentially cause issues—especially if your kid likes going click crazy. While there isn’t a lot to muck up in Chrome OS, it’s still something to consider. Since Family Link was originally designed for Android devices (and is still a work in progress on Chrome OS), the majority of the features in the app are centered around Google Play. Since that’s not available on Family Link for Chromebooks, you can ignore a lot of things in the app. 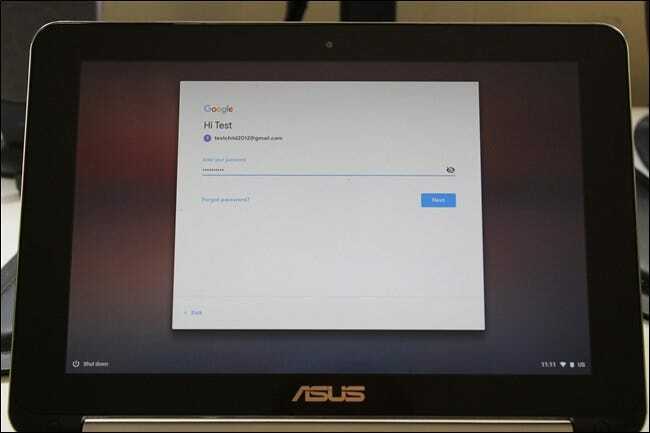 However, you can manage what’s arguably the essential part of the Chromebook: the web experience. You can find these settings by heading into the Family Link app, choosing your child’s profile, and then tapping the “Manage Settings” button. The first section you’ll want to explore is Filters on Google Chrome—this is arguably the biggest filter you’ll use on Chrome OS. By default, Chrome filters are set to “Try to block mature sites,” noting that no filter is perfect. But in our testing, it did a pretty good job of blocking the most common sites you don’t want your child looking accessing. You can change this as you see fit and even allow specific sites to get through the filter, which is great for the case of false positives. If you want even tighter control, you can set Chrome only to allow specific sites that you preapprove. Note: Even adding YouTube to the list of approved sites doesn’t unblock it. SafeSearch is enabled by default under the “Filters for Google Search” setting, but you can disable it if you want. And past that, there isn’t a lot left for Chrome OS. Location tracking isn’t available on Chromebooks yet, and the rest of the features pertain to Google Play. As we said, it’s still a work in progress. The content control options are good, though, and seem to work well. The biggest problem with Family Link on Chrome OS right now is Google Play being blocked because having Android apps is one of the best features on Chromebooks at this point (and one your kids are likely going to want). Hopefully, Google is working on getting this system fixed, because Google Play access (and control) would make this one of the best parental control systems out there. Next What Is a Checksum (and Why Should You Care)?